A welcome addition to the cool decor at the Drake One Fifty - a mix of classy, organic, and even diner-chic - was the bar-adjacent grand piano. The space was set up for Popera!, an event which since 2015 has recurred a handful of times annually, featuring the young singers and pianists of the Canadian Opera Company’s Ensemble Studio. Essentially, Popera! 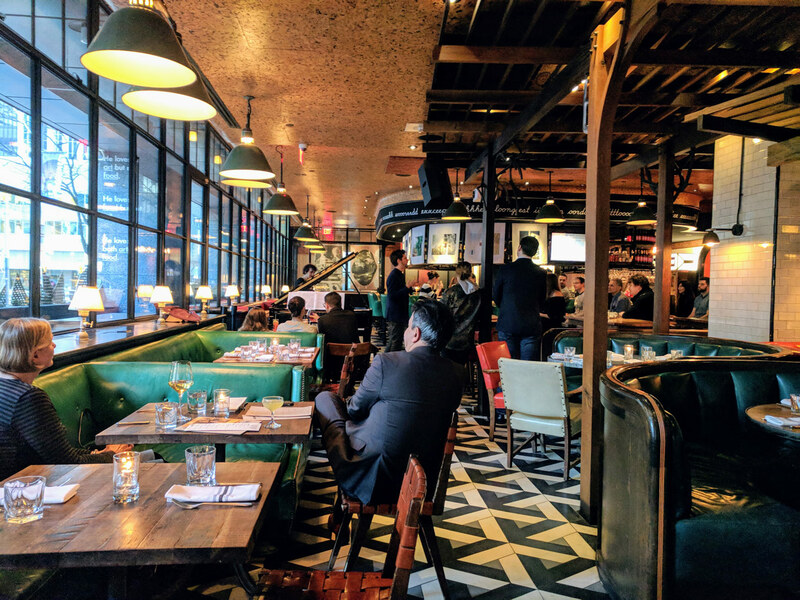 - part of the Drake’s own cultural programming - is a prix fixe menu with a side of opera, a themed mini-concert of music over pre-dinner drinks. 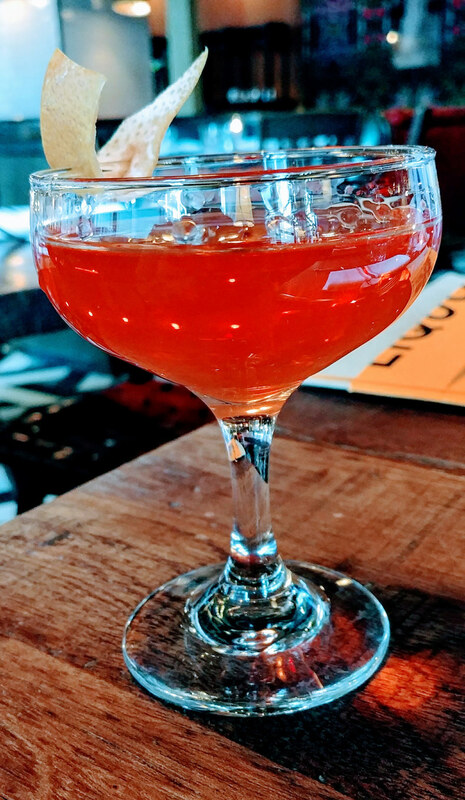 The cocktails and their evocative names - the Love Elixir, the Nightingale - evoke some of the operas on the main stage of the COC’s current season. My Nightingale, courtesy of the lovely folks at Drake One Fifty. Opera is often either about love or death, the artists told us on Saturday, and in the spirit of not spoiling one’s appetite, they decided to opt for love as the theme of the night. So, we heard snippets from Mozart’s Don Giovanni, Tchaikovsky’s Eugene Onegin (a teaser for when the Pushkin-based opera comes to the COC this September), Camelot and The Phantom of the Opera, plus lovey songs like Poulenc’s Chemins de l’amour (Pathways of love) and Bizet’s Ouvre ton coeur (Open your heart). Soprano Samantha Pickett, baritone Bruno Roy, and pianist Stéphane Mayer were personable and easygoing in their brief introductions, a refreshing opener for their great artistry. Torontonians might compare an event like Popera! to the monthly Opera Pubs held at Amsterdam Bicycle Club, hosted by Against the Grain Theatre. They both offer opera singing over beverages, in an environment that’s more relaxed than the average full-sized opera house. Popera! has a chic air of exclusivity to it; Mozart, as it turns out, pairs well with steak frites. My only wish is that the event grows in size - as in, more singing, please. I could have done with a couple of sets’ worth of singing, perhaps over appetizers as well as cocktails, with a bonus handful of sweet picks - some Andrew Lloyd Webber, say - for dessert. Maybe that’s what it means to be exclusive, though, to be left a bit wanting. Everything I know about opera singers tells me they’re suckers for an ovation - so, with enough gusto, listeners might applaud their way to an extra aria or two out of the fab young artists. 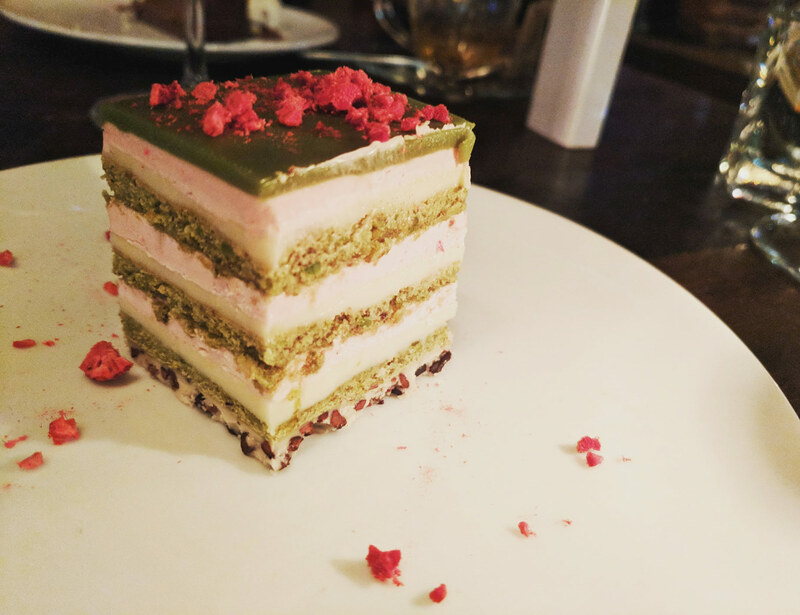 My pistachio-based “Opera Cake” for dessert. The next Popera! events happen April 21 at the Drake One Fifty, 150 York St. For the full line-up of events, visit their website. AtG's Opera Pubs: "It can all get a bit wild."